I’ve been pounding the table since late January that the third leg of the gold and silver bull market had started in mid-December. It’s also been quite clear to me that the western Central Banks had lost their ability to push the price of gold/silver down. Now the best they can hope for is to maintain a “controlled retreat” – i.e. do what they can to limited rate at which the metals move higher. That’s why we get these “zip line” price plunge formations followed by another “stair step” higher. I need to point out that earlier this year Hecht was slow to accept the move being made by gold and silver and had even issued some bearish remarks at one point. You can read his full commentary on the metals here: Gold/Silver Are The Place To Be. (He has the same graphs I was showing 6 weeks ago). The silver mining stock I featured in the debut issue of the Mining Stock Journal is up over 7% this morning. It handily beat earnings. This is the only large-cap miner I have presented. It’s nearly doubled since early March and the Company pays a monthly dividend. The call options I recommended are up 260%. Another stock I recommended in mid-April popped 60% earlier this week. I’ll note that Casey Research had recently “poo-poo’d” this stock. 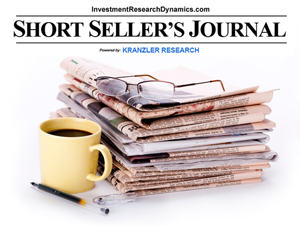 My Mining Stock Journal focuses “off the beaten path” ideas that are higher risk/very high return juniors. 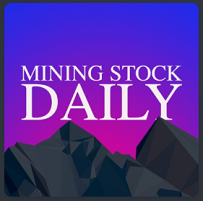 You can subscribe to the MSJ here: Mining Stock Journal. The subscription price includes all the back-issues (for now). To the surprise of most, mining stocks continued their stunning upward move that began around January 20. Toward the end of last week, financial media goons, chart readers and analysts who rely on the CFTC’s Commitment of Traders report for “insight” into market direction were all calling for a sharp pullback in the precious metals sector. Most market “oracles” were calling for a sharp retreat in the price of gold below $1100 and silver below $14. Perhaps most amusing about the plethora of “correction time” and “overbought” commentary on the metals sector is: 1) because of the overt and continuous official intervention in the precious metals sector since 2011, it could be argued that the entire sector has been “artificially” oversold for the better part of five years; we don’t know where the true “oversold/overbought” statistical levels should be because natural price discovery in the sector has been completely suffocated; 2) the current stock market, adjusted for bona fide GAAP numbers, is the most overvalued in history; the stock market, by the same intervention/manipulative forces holding down the metals, has been artificially “overbought for at least 3-4 years now; yet, no one writes commentary on the need for a big price correction in the stock market. Too be sure, whenever the COT report shows an extreme level in the bullion bank short position in gold and futures, offset by an extreme long position held by the hedge funds, the criminal banks implement a “COT stop-loss hedge fund long liquidation” algorithm which sets off the stop-losses set by the hedge funds and causes the now-familiar “waterfall” chart patterns that result from heavy bank manipulation of Comex trading. So far every attempt to trigger forced liquidation of gold/silver futures has failed. That’s not to say that it won’t happen. But what makes this current rally even more interesting is the fact that it is occurring while the stock market continues to squeeze higher despite the continued deterioration in economic data. Typically the precious metals sector will, in general, move inversely to the stock market. The fact that it has moved in correlation with the S&P 500 over the last three weeks suggests that either the precious metals “market” sees the recent move in the stock market as a “faux” rally or the smart money is selling stocks into this rally and moving capital into the precious metals sector, or both. (click on image to enlarge) The graph to the left shows the last two years of trading in GDX. As you can see, the current move up in the mining stocks has not yet “corrected” the sell-off that occurred in early 2015. You can see that the manipulated sell-off from Jan 2015 to July 2015 was accompanied by a steady decline in volume. Over the next six months, the mining stocks formed what appears to be a very powerful base which was supported with heavy volume. THAT is the unmistakable sign of smart money accumulating highly oversold and extraordinarily cheap mining shares. I also believe that the current move up in the miners from mid-January reflects the absurd amount of short-selling and naked short-selling that has infested the mining shares since April 2011. Naked shorting has become a big problem but we only heard about it when the S&P 500/Dow were plunging back in 2008-2009. Once the Fed had stabilized the “problem” and began pushing stocks higher with QE, suddenly the naked-short selling was no longer an issue. What happened to the Congressional inquiries and threats of legislative action? While impossible to prove, it is 99.9% probable the naked short selling in the mining stock sector has been unimaginably immense – historically unprecedented. But once the hedge funds and bullion banks are through fixing their problematic short positions in the miners, they will follow-through with enormous buying. I am expecting a correction to begin sometime soon. But when that correction has run its course, make sure you are ready to add or initiate positions in high quality junior mining shares, because I believe the next extended bull move in the mining shares will offer the to potential to make a life-style changing amount of money. 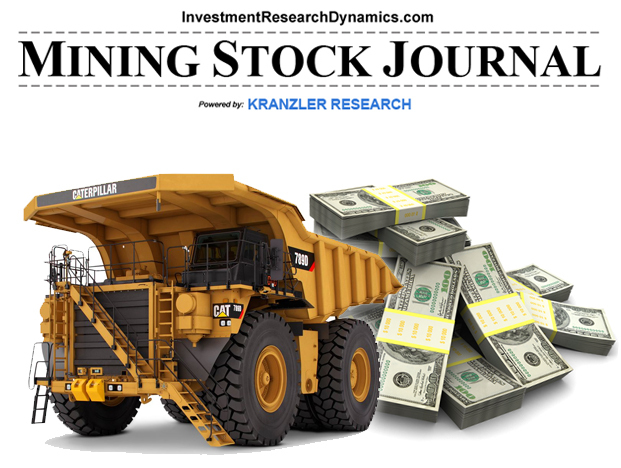 I just rolled a Mining Stock Journal that will help you navigate the precious metals sector and invest in junior (and some large cap) mining stocks. You can access the MSJ using this link: Mining Stock Journal or by clicking on the image to the right. Follow the money. My friend and colleague, Nick of DenaliGuide’s Summit blog has done a short video to explain why the current trading action in gold and silver – although seems quite bearish – is really a non-event. The goal is to help ease everyone of the oppressive negative sentiment the has engulfed the precious metals investing community. Sure doesn’t feel like the precious metals sector has had positive returns this year, does it? 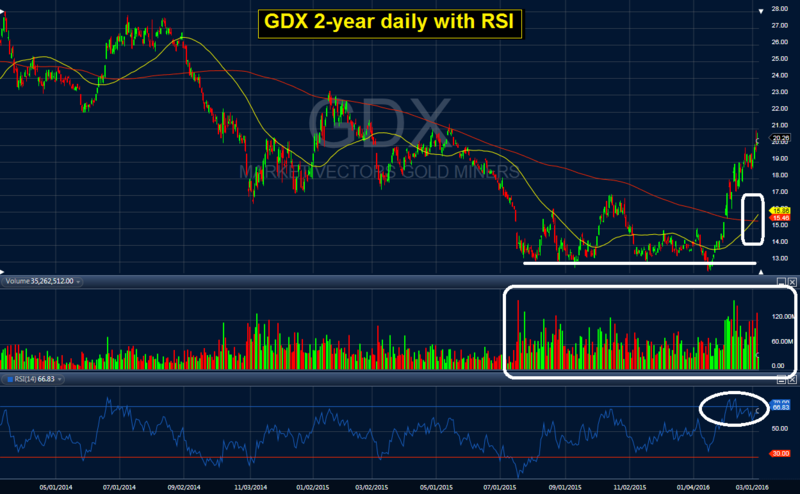 This shows the GDX index since mid-June. As we know, gold and silver rallied along with the GDX into mid-July and have largely retraced nearly back to their June 1 starting prices. BUT, the mining stocks have been marking time in a sideways pattern. The black line on the graph shows the amount of “stealth” accumulation that is occurring on every down-tick in the mining shares. I have noticed this as I watch the tape every day, but this graph illustrates it. The message: SMART MONEY IS ACCUMULATING MINING SHARES. My “Huge Upside” idea has pulled back on zero news. I added some to the fund I manage today. My “Short Term Trade/Long Term Investment” idea is back above my recommendation level. I expect it to outperform going forward, assuming the precious metals sector starts trending higher. I’ve just added Nick’s Denali Guide 3-page technical analysis to my report on Eurasian Minerals. You see that full report using this link: Research Reports. I want to emphasize strongly Nick’s analysis is completely independent of my fundamental analysis. Use Nick’s tools to guide your entry/buy/accumulate/take profits/sell trading decisions. 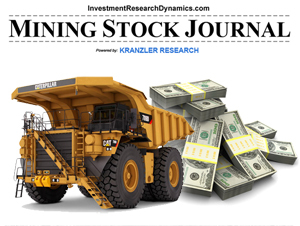 Use my analysis to decide the risk/return merits of any given junior mining stock.